A 42-year-old who allegedly sold shabu to an undercover cop was able to elude police arrest during an anti-drug operation conducted by anti-narcotics agents of the Tagbilaran City Police Station on Sunday night. 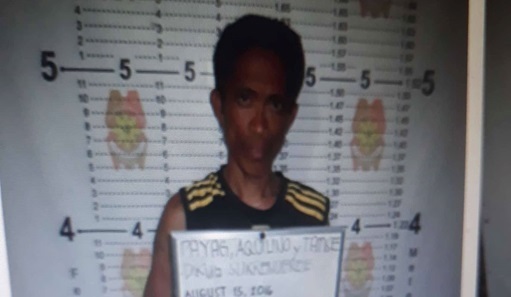 Police will be filing charges against suspect Aquilino Payag, a resident of Barangay Dampas in Tagbilaran City for violations against Republic Act 9165 otherwise known as the Comprehensive Dangerous Drugs Act of 2002. According to Tagbilaran City police chief Supt. Patricio Degay, Jr., Payag surrendered in 2016 as a drug personality during the implementation of the police’s “Oplan Tokhang” but continued to sell illegal drugs after. This prompted the Tagbilaran police’s City Drug Enforcement Unit to carry out the sting operation against Payag. Authorities said that Payag was sold shabu worth P500 to a poseur-buyer but was then able to sense that he was being subjected to a staged drug transaction prompting him to flee. Payag reportedly was able to escape from police due to the darkness of the area.